This is a map cartouche that I reworked based on a 18th century map of the Amazon. Corso del Fiume means course of the river. 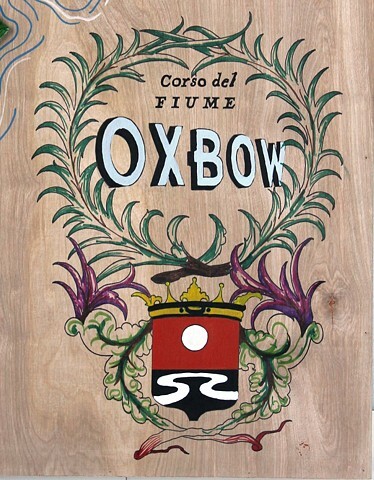 In this case, the course of the river leads us to Oxbow. Both to the water feature and also to the school. The crest on the bottom of the cartouche is a play on the school's logo.